Fall is a wonderful time of year for Apple fans. It’s the time of year when we all start to actually get our hands on the new iPhones and other devices Apple launched during their fall event. And with new devices comes the need to do something with the old devices. 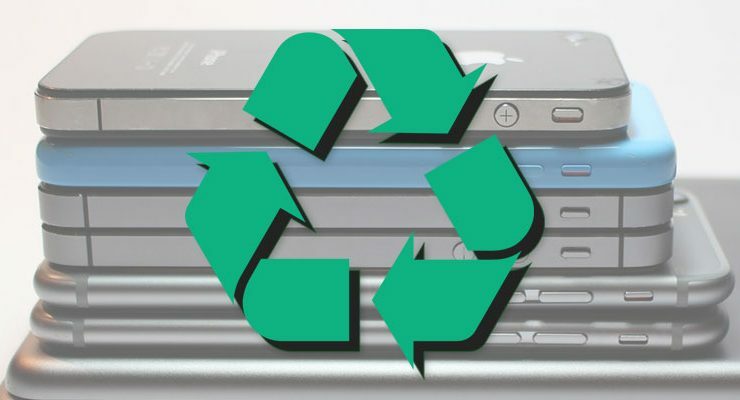 Rather than letting your old iPhone sit around and gather dust, you can recycle or sell it with one of the following methods. To recycle iPhones, choose the method and follow the instructions below. Even if your phone is absolute junk, you’ll still get some credit for safely disposing of an electronic device. Don’t simply throw it in the trash: it can leech toxic and valuable rare earth elements into the soil, plus its probably illegal. Regardless of the path you choose, make sure to delete your personal data before your send your iPhone off! Apple offers their own program for disposing of your old devices safely and legally. If you’re only trying to dispose of a too-old device safely, this is your best option. But it’s actually not a bad choice for new devices either. You can trade in your Apple device for an Apple gift card, which you can put towards a new device or accessories. To get a quote for your device, you just need to answer a few questions on the Apple website. Once you’ve provided that information, you’ll get an estimated gift card amount. You can expect to get at least $150 an older model of iPhone (the iPhone 6, for example). More recent phones (the iPhone 7, for example) will fetch hundreds of dollars worth of Apple gift cards. 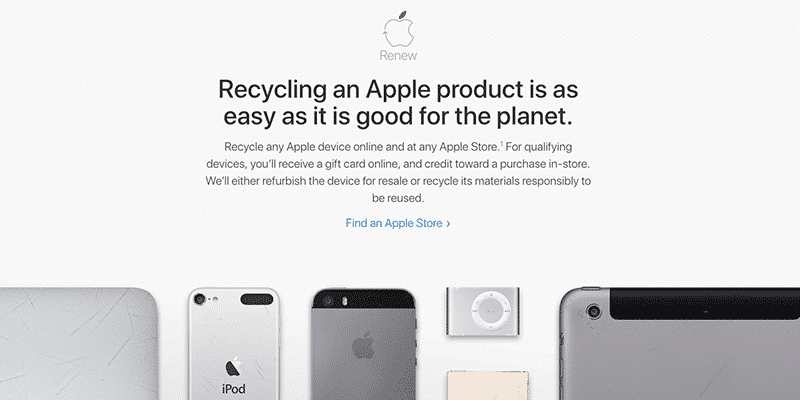 To recycle iPhones and figure out what your device is worth, check out the Apple Renew and Recycling web page. 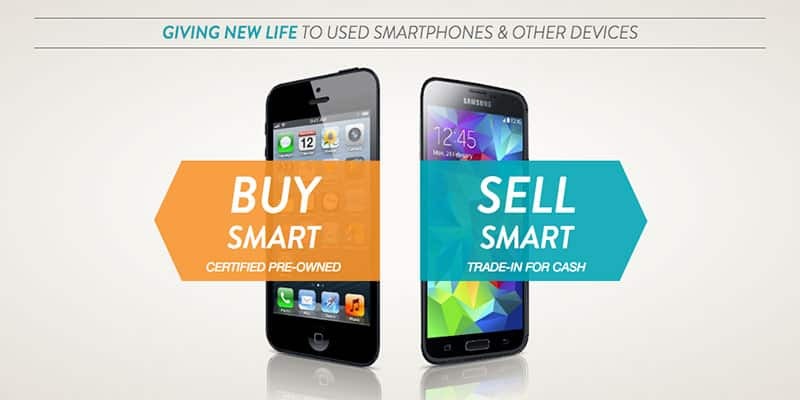 Gazelle makes selling your old device as simple as possible. You don’t even need to worry about deleting personal information, provided you trust their technicians to do the job correctly. Simply answer some very basic questions about your device model and condition. Then, Gazelle will provide a provisional quote, then send you a pre-paid shipping box. Place your device in the box, slap the return label on it and drop it in the mail. Once they receive the device and confirm that it’s in the condition you described, you’ll receive your payment. You’ll find that Gazelle’s rates are lower than you could get by selling the device on your own. In return, you get a guaranteed buyer who makes shipping easy and won’t try and scam you out of a few hundred bucks. It can be well worth the exchange. If you’re enterprising, brave or cash poor, eBay can be a great option for recycling iPhones and iPads. It’s almost certainly where you’ll get the highest price for your device, but you also have to deal with a lot of annoyances, from major to minor. Be prepared to deal with scammers wanting you to work a deal with them outside of eBay, or people who slow-roll you on payments for auctions they’ve completed. And don’t forget about the significant cuts you’ll take on your sale price. Both eBay and PayPal take a respectable percentage of any sale you make through the marketplace, and appropriate shipping (with necessary insurance) can take another sizable chunk out of your profits. That said, we’ve sold many expensive devices on eBay successfully with only minor difficulties: just be cautious. Those who don’t want to deal with the wretched hive of scum and villainy that is eBay can instead consider eBay Valet. It’s a professional service that eBay started to sell things on eBay for you. Depending on the final sale price, you receive a percentage cut of the sale. If your device sells for over $500 (which is reasonably likely) you’ll get 80% of the hammer price, less PayPal fees. Shipping costs are covered by the percentage fee that eBay Valet charges. eBay Valet handles photographing the item, managing the listing and communicating with buyers. You just mail them the device and get money at the end of it. Swappa is something of an upstart in the electronics sales world. They’re similar to eBay: you make your own listing and set your own prices, communicating directly with the person purchasing your device. But they’re also a little different: auctions are reviewed before listing, broken items aren’t allowed and everything requires approval. This means you’ll typically get a slightly higher class of patron on Swappa, but the market is drastically smaller than world-spanning eBay. On the upside, sellers don’t pay any fees on Swappa. You’ll still need to account for PayPal’s transaction fees, but you’ll save money over eBay. No matter how you choose to get rid of your device, make sure that you wipe it clean before you sell it. While some vendors like Gazelle will reset your phone for you, there’s no reason not to do it yourself. It avoids potential issues with mistakes on the vendor’s end. It also ensures that, if your phone is stolen out of the mail, you don’t lose your identity along with your device. To erase your iPhone or iPad, first back up your device to iCloud or iTunes. Unpair it from any paired Apple Watches. Then navigate to the Settings app and choose General > Reset > Erase All Content and Settings. Since your iPhone is automatically encrypted, this will restore the phone to its new state and delete your encryption key. This renders any left over data on the device unreadably by anyone. If you haven’t registered your new phone yet, you’ll also might need to contact your carrier to remove the device from your phone number. If you have trouble wiping your device, you can check out Apple’s instructions on the topic. Once you’ve done that, you’re good to go! I use Sell Your Mac (SYM) for reselling all my Apple gear. Fair prices, excellent support including, mailing labels.